Freja eID is an e-ID developed by Verisec, a Swedish IT security company listed on Nasdaq First North Premier in Stockholm. 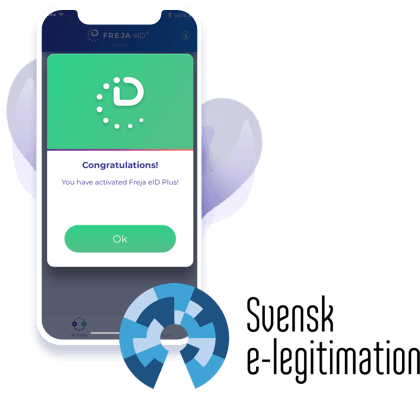 The technology behind Freja eID is used by banks, companies and government agencies worldwide to handle digital identities and protect sensitive data. Let’s say you are trying to log in to a website. This could be a bank, municipality services, some form of social media, basically almost anything you can imagine. Whatever service you are trying to access though, we need to make sure that there are no security risks and that your experience is as smooth and satisfying as it can be. So what is it that happens behind the scenes that makes Freja eID so secure to use? How do we guarantee that the entire process of authentication is free of risk and potential fraud? The Tax Authority then sends our system an authentication request. We process this request to make sure that this service provider (in this case the Tax Authority) exists in our database. If they do, we send a request to your device for you to approve. It always states clearly where you are about to log in. You then approve the it with your PIN, fingerprint or face recognition (which one you choose is up to you). After you have approved the request, it is sent back to our system where we perform more security checks. If everything checks out, we will confirm your identity to the Tax Authority and you will be logged in successfully. 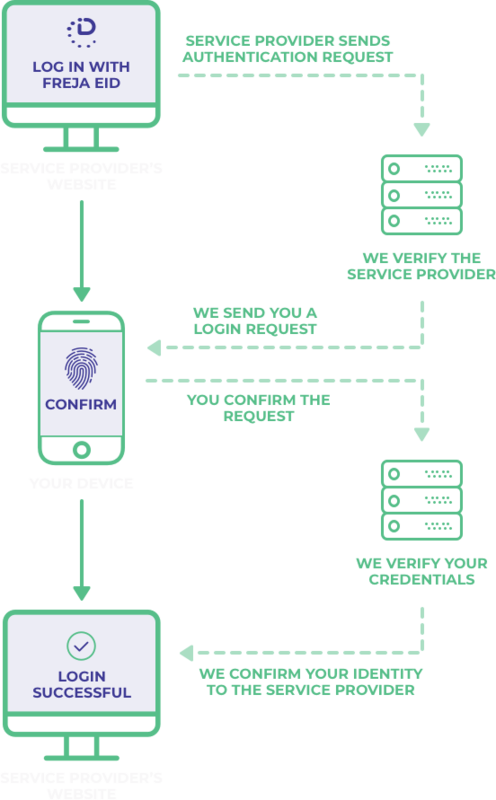 When performed in real life, this entire process is quick and smooth, granting you increased security and a much more satisfying user experience. Freja eID is Sweden’s only mobile e-ID that is approved for the governmental quality mark Svensk e-legitimation. It is DIGG – the Swedish Agency for Digital Government that reviews and approves e-IDs against a trust framework that complies with international standards. Svensk e-legitimation is a quality label that shows that an e-ID has deserved the trust from both the business that has an e-service and those who need to use an e-ID. Freja eID’s system and architecture are built to meet the EU-defined rules for electronic identification, electronic signatures and trusted services across national borders in the eIDAS framework.